Today is my stop on the Urban Scandinavian Sewing Bloggers Book Tour! The book tour runs for two weeks through Monday, August 31, and I, along with several other talented sewing bloggers, are going to share Kirstyn Cogan’s new book, Urban Scandinavian Sewing, available for purchase at C&T publishing and Amazon. 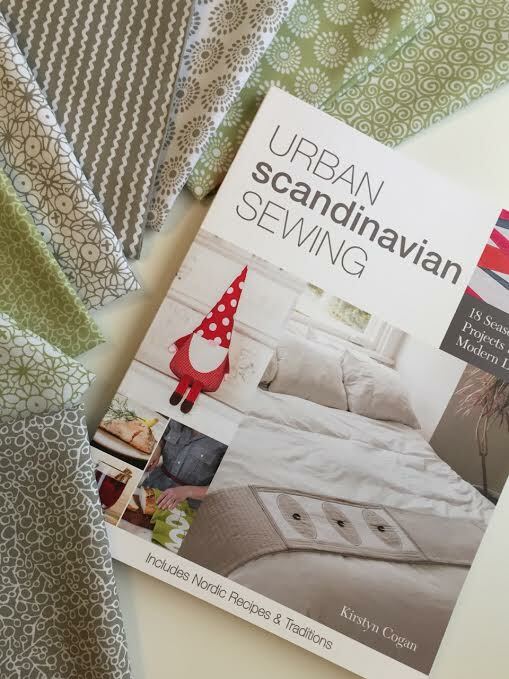 I was very excited when I was asked to share my thoughts on Kirstyn's book Urban Scandinavian Sewing. The book is divided into 2 sections, Winter and Midsummer, with each section having distinct recipes and projects for that time of year. On my first flip through the book I was very pleasantly surprised to find recipes along with the various sewing projects! I love food, so recipes are always a plus in my mind! When the weather cools down, sometime in Mid-December here in Texas, I am going to make some of this delicious looking Swedish Christmas Porridge. Since I have been on the go the past few weeks, I haven't had time to make anything from the book yet, but I have definitely started planning out what I want to make when I get back to my sewing machine. I fell in love with this little Swedish Tomte Softie. Can't you just see an adorable little family of these guys sitting on your mantle during the holidays? Overall I absolutely love this book and I am looking forward to making several of the projects and recipes! Be sure to check out all the other lovely bloggers that are a part of the book tour! Be sure to also visit Kirstyn’s blog, http://www.kirstyncogan.com/blog/ over the next two weeks, as she’ll be sharing round-ups of all the stops each week so you’ll be sure not to miss a thing! 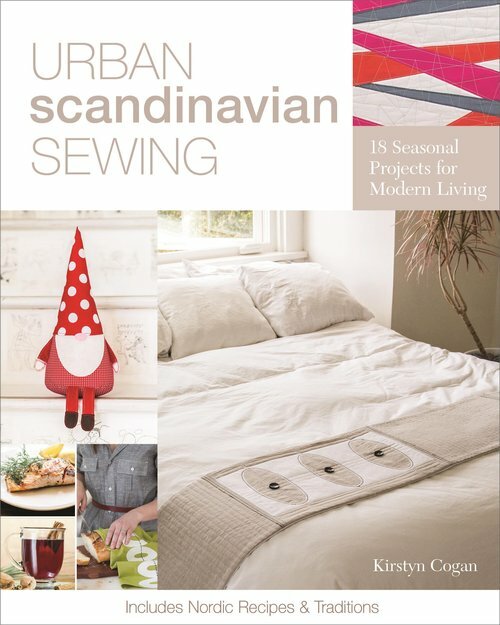 Enter to Win A Copy of Urban Scandinavian Sewing! 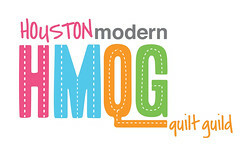 As part of the book tour, Kirstyn is giving away copy of her book and a FQ bundle of her new fabric line, Urban Scandinavian, that is shipping to fabric stores near you next month, to two lucky winners! Click the link below to Enter the rafflecopter giveaway, open through midnight, August 30. I would love to make a tomte, and put it in my Christmas tree!!! i love the tomte, great Christmas ornament. The fabric flower swag sounds perfect for the sewing room! Totally smitten with the Tomte, so he would be the first project for me from this great looking book. What a cool book. I'd love to try to make the bed runner! I'm getting prepped and ready to make softies and I love the Tomte one in this book! I would love to make a quilt version of the bed runner shown on the cover. Thanks for a great giveaway.